Welcome! Yes autumn is in the air and the creative options for this weeks challenge over on the Simon Says Stamp Monday Challenge Blog are endless. I've been in Halloween mode lately so that's the direction that I went. I started with a piece of corrugated cardboard and the Rickety House Die. Throw in a spider web, black cat, ghouls in the attic and you've got a haunted house. 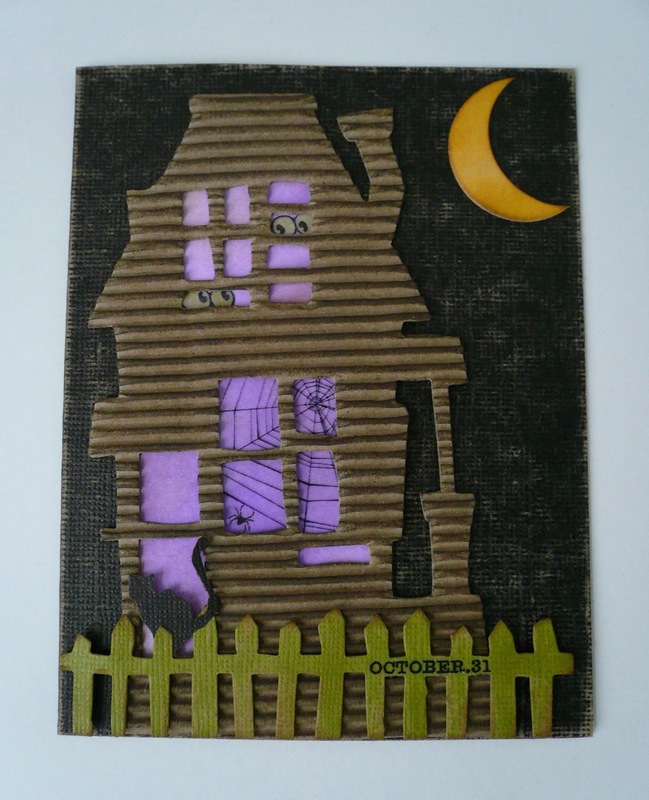 The ghouls in the attic were inspired by this tag by Zoe Hillman (iGirlZoe). Well that's all I have for today. Have a wonderful weekend and thanks for stopping by!